This site is designed, updated and maintained by G-7. 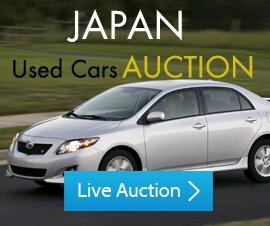 Crown Trading Co. Ltd.
To obtain access to certain https://www.findcarjapan.com services, you will be given an opportunity to register with https://www.findcarjapan.com. As part of the registration process, you will select an user name and a password. You agree that the information you supply during that registration process will be accurate and complete and that you will not register under the name of, nor attempt to enter the service under the name of, another person. We reserve the right to disallow use of user name that we deem offensive or inappropriate. You will be responsible for preserving the confidentiality of your password and for all actions of persons accessing https://www.findcarjapan.com through any username/password assigned to you. We accept no responsibility in case of any known or suspected unauthorized use of your account. In this case we request you to inform us so that can protect you for further damage. In no event shall G-7. Crown Trading Co. Ltd be liable for any direct, indirect, incidental, punitive, or consequential damages of any kind whatsoever with respect to the service, the materials and the products. Users of this site must hereby acknowledge that any reliance upon any materials shall be at their sole risk. G-7. Crown Trading Co. Ltd reserve the right, in their sole discretion and without any obligation, to make improvements to, or correct any error or omissions in any portion of the service or the materials.